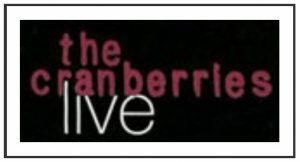 With the Cranberries “Live” DVD release pegged for a January 24 release in Europe and Feburary 8 in the US, Universal is prepping retailers with promo media for the upcoming release. 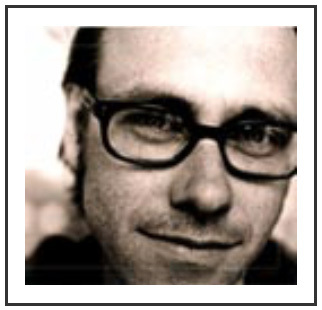 Not too long ago, Zombieguide reported that Canadian singer-songwriter Kevin Fox has been working with Dolores O’Riordan on string arrangements for yet unspecified solo material. ZG: What was your involvement with the new songs? KF: I composed string arrangements for 4 songs she was in the process of recording. ZG: How did you get approached to do these songs? KF: The studio in which she was working was familiar with my work and got us in touch. ZG: How long ago did you work on these songs? KF: In the last 13 to 14 months I was approached twice, each time to arrange for two songs. Dolores? Did you have alot of freedom or did Dolores have a set plan for what she wanted? KF: Freedom was definitely offered in the process of writing the arrangements. It was just me working with what conceptual ideas she had expressed on the phone. In the studio we collaborated to exercise what specific or responsive ideas she had. She has a wonderful sense of melody. ZG: Can you maybe give us any song titles? KF: I’d prefer not to reveal anything too specific that she may want to remain private. ZG: Any idea what the songs will be used for? Her solo album or maybe soundtrack contributions? KF: She simply expressed to me a desire to explore new musical paths. No specific plans. Zombieguide would like to thank Kevin Fox for his time in answering these questions. According to ANSA, she is expected to appear in person to accept her award at the Capri, Hollywood Awards ceremony on December 27. The “Capri, Hollywood” panel also selected “The Passion of the Christ” to receive two other awards, Best Film of 2004 and Best Costumes. 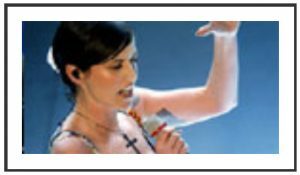 Dolores O’Riordan may soon be adding another award win to her resume. She has been nominated for an award presented by The Capri Film Festival, held during the month of December on the island of Capri, most famous of Italy’s Mediterranean islands. Nominated for her recording of Ave Maria for Mel Gibson’s blockbuster smash, The Passion of The Christ, Dolores could take home a shiny new note of recognition at the end of this month. Her nomination was no doubt aided by a stunning live performance of “Ave Maria” as the grand finale to Italy’s Sanremo Festivalearlier this year. No word yet if Dolores will actually attend the festival, which begins on December 27. 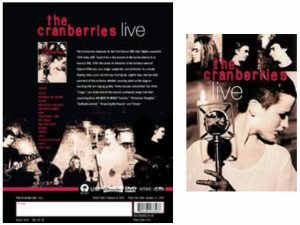 Universal Music Distribution confirmed this week that they will release the DVD re-release of The Cranberries “Live in London” in the United States onFebruary 8, 2005. Additionally, Universal Music Canada’s websiteconfirms that our hockey-loving northern neighbors will receive the DVD a week later on February 15.